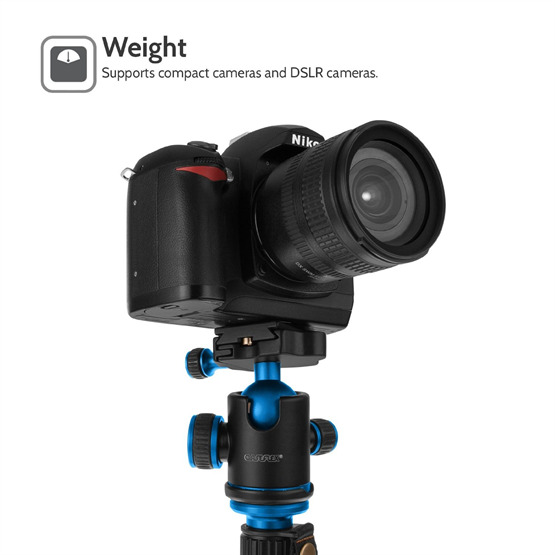 Max load weight: 6kg, Max Height 61”, Min Height 21”. 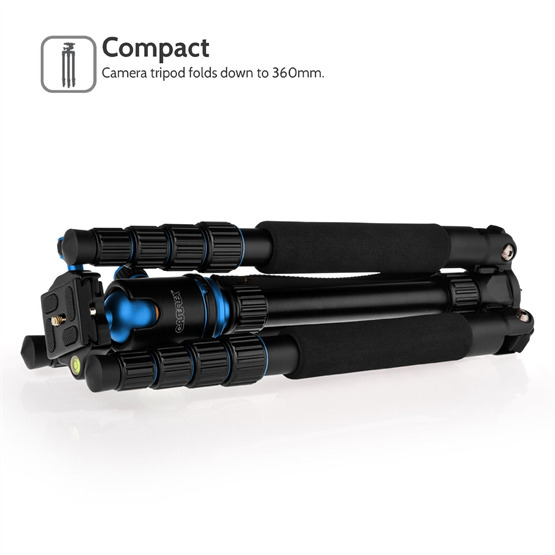 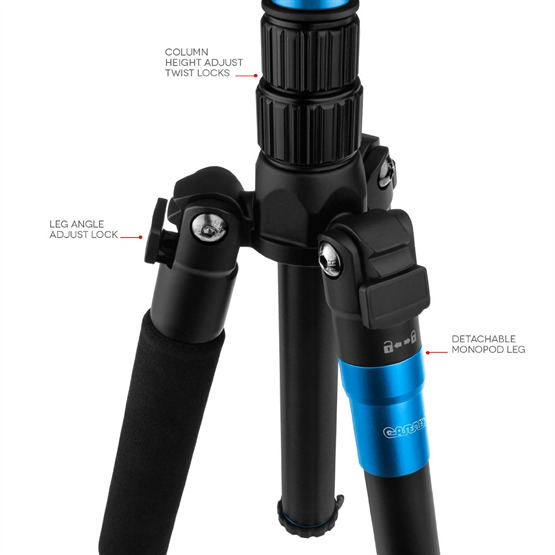 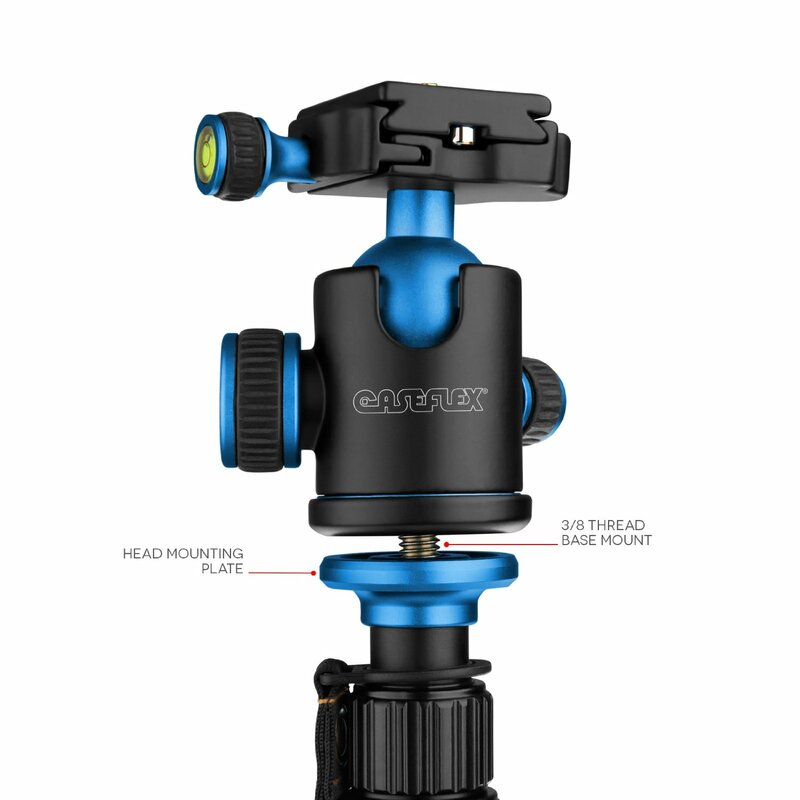 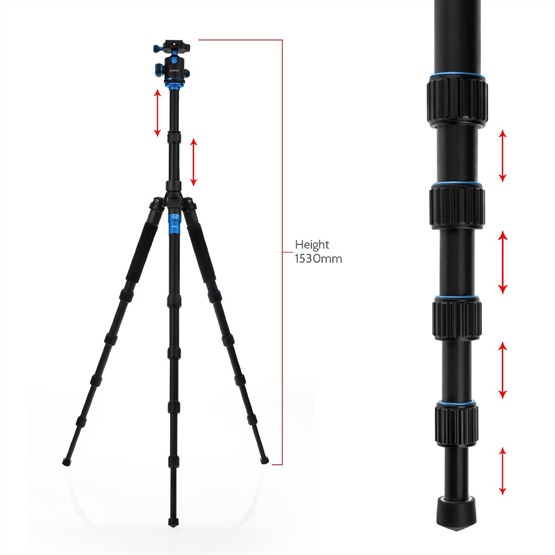 Pro-quality features, ease of use and an amazing price tag all combine to make the Caseflex Camera Tripod Pro – Blue the perfect camera accessory for amateurs and professionals alike. 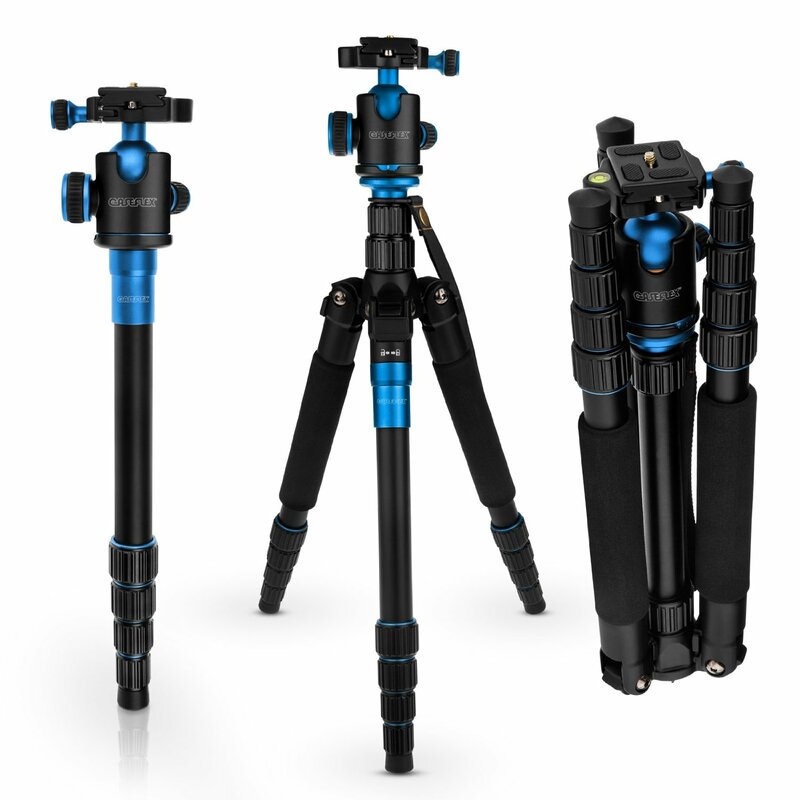 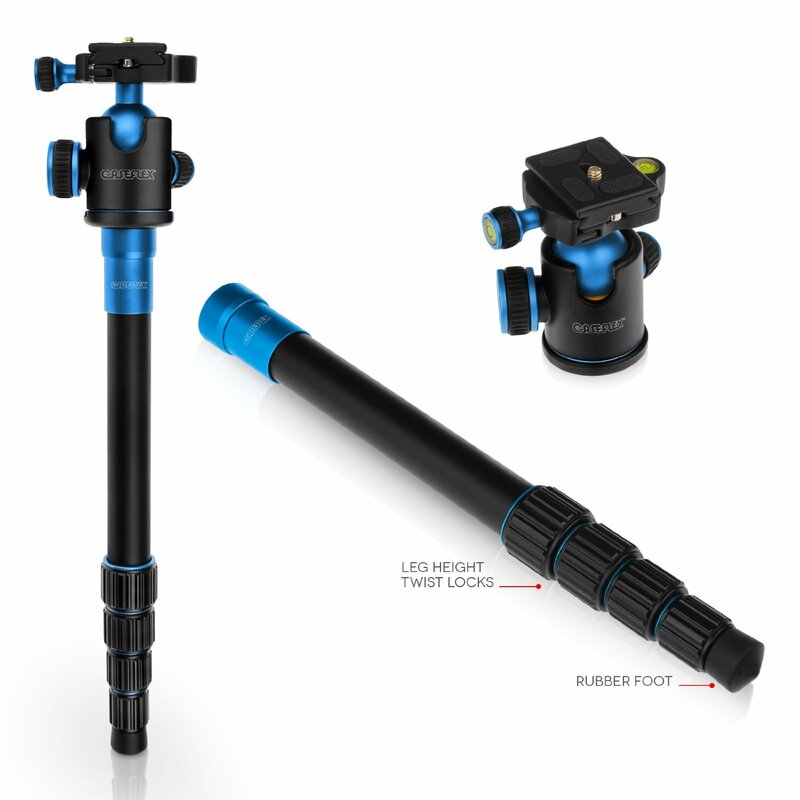 Set up your tripod with ease, thanks to quick-release telescopic legs, featuring rubber feet for extra stability. For increased steadiness (in breezy conditions for instance), there’s a weight bearing hook attached to the central column. 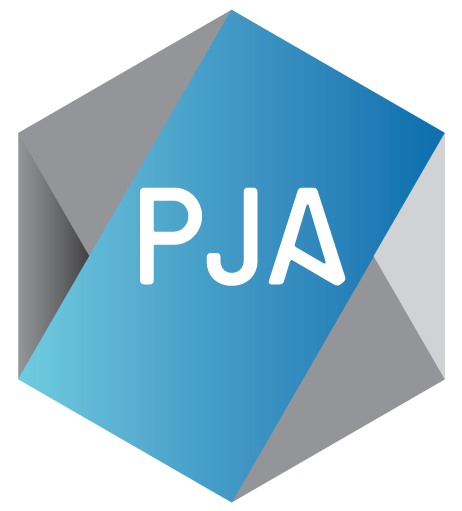 Your camera threads securely into place onto the mounting platform. 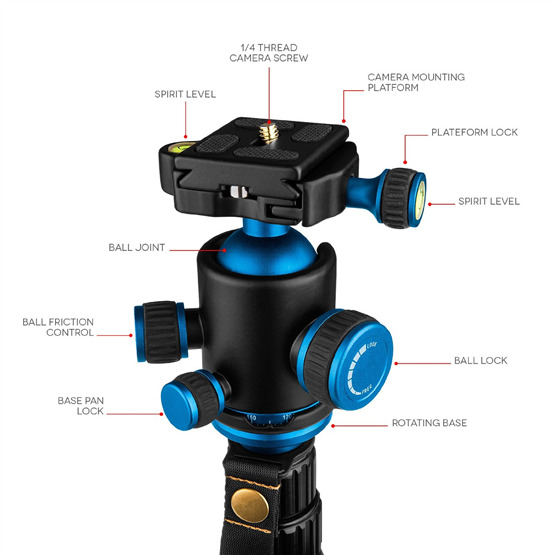 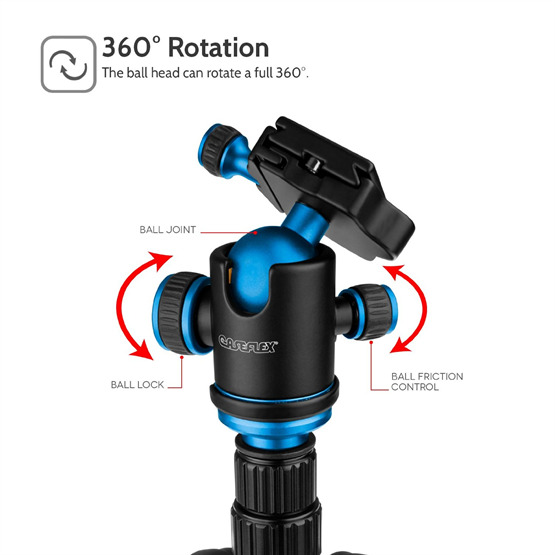 Once mounted, a fluid ball joint allows you to find the perfect angle before using the ball head lock to fix your desired position.